Lego has a goal of producing more renewable energy than the energy it consumes by 2020, which it plans on achieving by powering the company with 100% renewable energy. Lego has already taken ambitious steps to reach its sustainability goals. 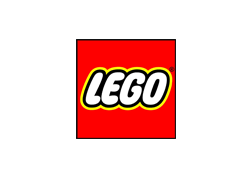 In 2012, Lego’s parent company, KIRKBI A/S (which owns 75% of Lego), invested €400m into an offshore wind farm called Borkum Riffground 1 located off the coast of Germany in the North Sea. KIRKBI A/S owns one-third of the wind farm’s production, which produces enough energy to power approximately 100,000 US homes. This investment will help Lego reach its sustainability goals and also supports its commitment to improve energy efficiency. Lego and its parent company KIRKBI A/S have invested in a wind farm and a type of renewable energy that is trustworthy enough to power its growing business. ”We want to make a positive impact on the world that all children will inherit” says Jørgen Vig Knudstorp, President and Chief Executive Officer of the LEGO Group. “We have an impact by acting as a responsible company, where our ambitious environmental agenda plays a significant role. It is an important milestone that the Borkum Riffgrund 1 wind farm has delivered its first electricity, as this wind farm will help us reach our goal of being based 100 percent on renewable energy by 2020” said Vig Knudstorp in a recent interview.